A fun and adorable set of gingerbread cookies that can be decorated with the bright looking icing pieces. Inspire the mini baker in your household. 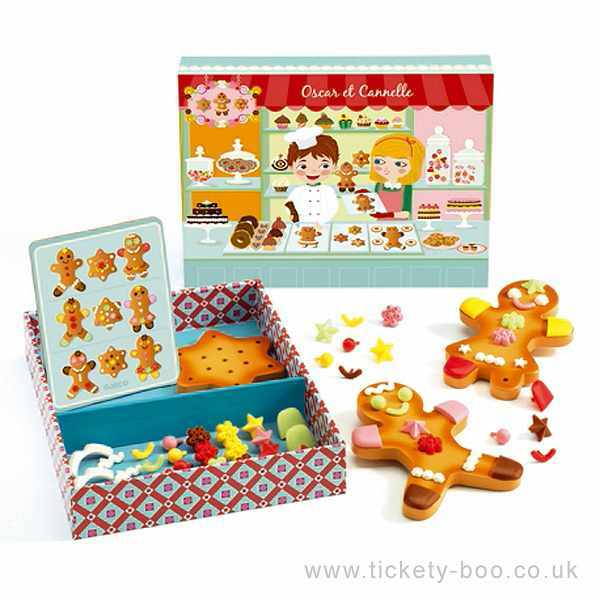 Contains 3 different biscuits and 65 decoration parts.